Enter my friend Harry (if you’re on facebook, I suggest you follow Harry here because, not only is he an absolute dear, he’s also full of great protein recipes!) Harry’s the one who pushed me to finally get a waffle machine. Specifically, he urged me to get THIS gorgeous belgian waffle maker. I saw it, noticed that it was on sale, and BOOM! I ordered it. So, today, after months and months of no waffles in my life, I heard a knock on the door and my heart started beating faster – it was the delivery man with my waffle machine. I signed for the package, brought it in, opened it, made a waffle batter, cooked it, placed my waffle on my plate, added some syrup and… the room faded against THIS song. I’m flipping out. I’m really flipping out. Because this is revolutionary! Both sets of waffles – mine and Harry’s – were so delicious! I’m completely flipping out. My life (and this blog) has just gotten SO much sweeter! I mean, PROTEIN WAFFLES! It’s like a dream come true! Oh, oh, oh! I am going to fill this blog with waffles! Blended together and waffled up! Right off the bat, you will notice that my waffle batter turned out considerably thicker than Harry’s. That’s because I used Sunwarrior which is essentially pea protein powder. 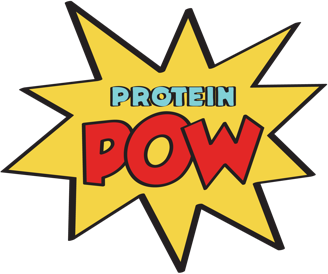 Pea protein, unlike whey, tends to absorb a lot of liquid (much like casein). My batter is also thicker because I used coconut flour and coconut flour always thickens batters up considerably. Harry’s batter, on the other hand, is whey based and, for this reason, turned out a lot more liquidy. It also uses oats instead of coconut flour which contributes to its more pancakey-looking batter. Harry’s waffles turned out thinner and crunchier than mine. Mine were just cakey – beautifully cakey, like french-toast-cakey. Who’s ready for Protein Waffle Towers? For Protein Waffles Drowned in Fluff? For Chocolate Protein Waffles? For Protein Waffles topped with Protein Ice Cream? For Protein Waffle Sandwiches? AAAA! The possibilities!!!!!! THEYARE ENDLESS!!!!!!! !